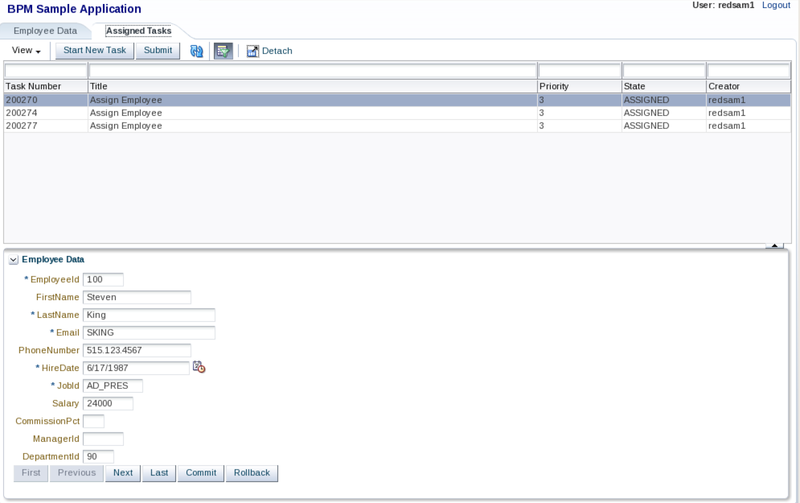 This is the next post in the series of ADF/BPM integration, check previous post available here - Dynamic ADF Buttons Solution for Oracle BPM Outcomes. Here I'm going to describe how you could authenticate with BPM from ADF through a proxy user, on top you could apply only business user name, password will not be required. As a proxy user I'm using weblogic. You could set to use any different user and consider it as a proxy user. This is how you could avoid using password for each business user and simply create initial connection through a proxy user. Download sample application - adfbpm11gr4.zip. Thank you for advanced posts. I faces this error once try to login. It looks like server config issue, can't point to Task Query service client.